Geely posts a 28th consecutive month of double-digit gains thanks to a strong sedan lineup. According to data released by the China Association of Automobile Manufacturers (CAAM), in July the Chinese new light vehicle market endures its second month of decline in 2018 after February when the Chinese New Year Holiday disrupted sales. Wholesales drop 5.3% to 1.589.500 units, yet the year-to-date volume remains strong at +3.4% to 13.364.500. Last month’s big story, the sudden decline of SUV wholesales after 9 consecutive years of monthly gains, gets a lot worse in July: after dropping just 0.5% in June, SUV wholesales dip a very worrying 8.2% to 632.700 units. Sedans are down also, but by just 1.3% to 814.600 with MPVs diving 22% to 106.600 and microvans getting a small respite at +30% to 35.600. It’s hard to emphasise enough how unexpected, sudden and steep this SUV crisis is turning out to be, and it now has the potential to turn local carmakers’ strategies and fortunes upside down as most had completely focused their energy on launching as many SUVs as possible, totally neglecting the sedan segment. 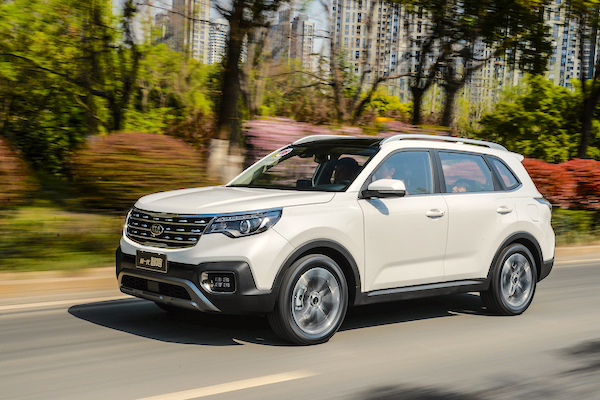 With the notable exception of Geely, which made sure to strengthen its sedan game over the past few years, this SUV crisis will indeed paradoxically benefit foreign carmakers that had been a lot slower to launch their own SUV lineups and can now fall back on strong existing sedan ranges. 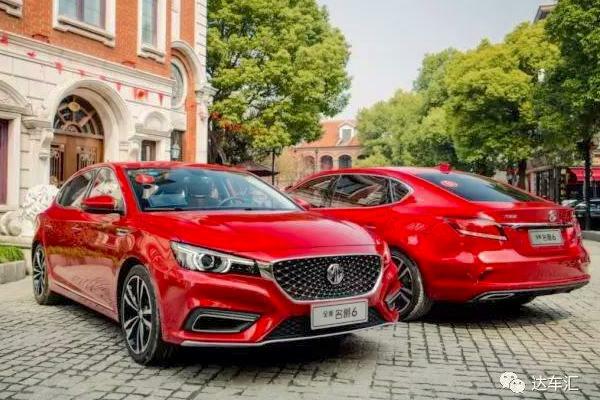 The new 6 sedan helps lift MG deliveries up 119% in July. 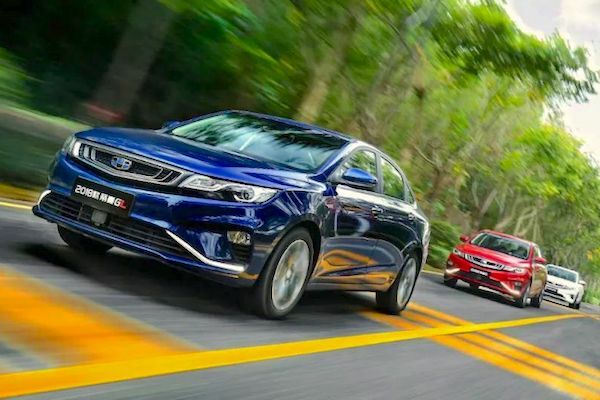 In the China-made brands ranking, once again the Top 3 best-sellers are in frank positive territory thanks to strong sedan sales: Volkswagen is up 9% to 234.000, Toyota up 13% and two spots on June to #2 and 118.000 and Geely up 18% to remain at #3 with 108.000 deliveries. That’s almost double any other Chinese brand (the #2 Baojun is down 9% to 57.000) and amounts to Geely’s 28th consecutive month of double-digit year-on-year gains and its 11th month in a row above 100.000 monthly sales. All other Top 10 brands are in negative bar Chevrolet (+17%) here too thanks to a strong sedan sales (Sail and Cavalier, see further down). Buick (-19%), Changan (-16%), Audi (-13%), Honda (-10%), Baojun (-9%) and Nissan (-7%) all fall faster than the market. The arrival of the 02 (pictured) means Lynk & Co posts its first five-digit sales month ever. Strong gainers further down include Qoros (+659%), MG (+119%), Hawtai (+76%), JAC (+39%), Brilliance (+34%), Mitsubishi (+34%), BYD (+30%), BMW (+25%), Chery (+23%), Hanteng (+20%), Cadillac (+19%) and Roewe (+13%) whereas Ford (-49%) continues to implode, Hyundai (-40%) is surprisingly back in hell, Dongfeng (-35%) is in great difficulty and Haval (-31%) marks a very worrying 16th consecutive month of year-on-year decline and a very clear worsening of its performance after losing 11% in April, 18% in May and 20% in June. 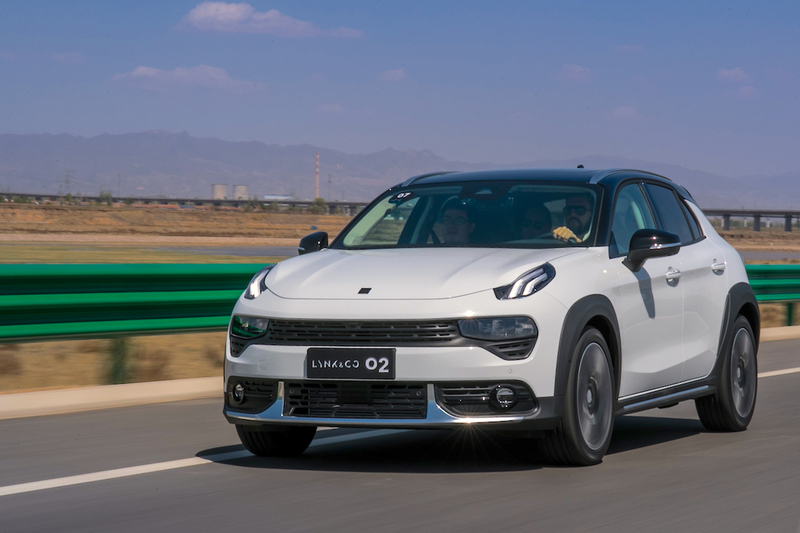 There are more good news for the Geely Group and more bad news for Great Wall Motors: thanks to the arrival of the 02 crossover at over 3.000 units (see our upcoming Focus on the All-new models report), Lynk & Co lodges its very first five-digit month at a record 12.300 sales and #30, meaning it outpaces for the first time archenemy WEY, down a steep 32% on June and 67% on its monthly record to a meagre 7.080 units despite 3 models (VV5, VV7 and P8). Kia Sportage sales are up a whopping 433% year-on-year thanks to the new model. The Chery Tiggo 8 leaps up to #82 overall for its 2nd month of sale. Fittingly, the majority of impressive gainers in the Top 50 are sedans, such as the VW Lamando (+119%), Toyota Camry (+107%) boosted by the new generation, Chevrolet Sail (+64%), BMW 5 Series L (+58%), Chevrolet Cavalier (+53%), Geely Emgrand GL (+50%), Honda Fit (+47%), Skoda Octavia (+35%) and VW Bora (+15%). A sprinkling of SUVs defy the overall gloom such as the Kia Sportage (+433%) lifted by a completely new model, Buick Envision (+29%) and Toyota RAV4 (+28%), but that’s it. More common among SUVs are ghastly falls such as the BYD Song (-68%), Haval H2 (-67%), Changan CS75 (-54%), the hero of 2017 the Baojun 510 (-49%), Honda UR-V (-47%), Nissan X-Trail (-45%), Dongfeng Fengguang 580 (-44%), GAC Trumpchi GS8 (-44%), Skoda Kodiaq (-44%), Toyota Prado (-44%), Audi Q3 (-43%), Honda XR-V (-37%), Jeep Compass (-37%), Ford Edge (-34%) and Honda CR-V (-33%). 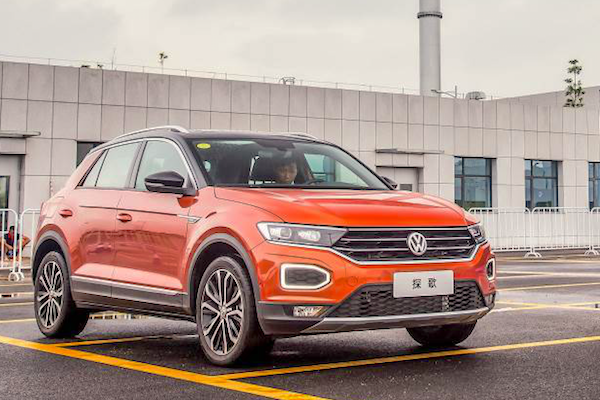 The VW T-Roc has taken off: it breaks into the Chinese Top 100 for the first time in July. The Baojun 530 remains the most popular recent launch at #23 (+3) even though it drops 7% on June, followed by the Baojun 360 at #30 (+20), Geely Vision X3 at #38 (+18), Lynk & Co 01 at #52 (+14) and a new record 9.260 sales, the GAC Trumpchi GS3 at #60 (+28) and a new all-time high 8.389 units, the Chery Tiggo 8 at #82 (+27) up 16% on its inaugural month to 6.051 deliveries, the VW T-Roc at #95 (+183) up 358% on June to 4.641 sales and the Skoda Kamiq at #100 (+83%) up 65% on last month to 4.335 units. 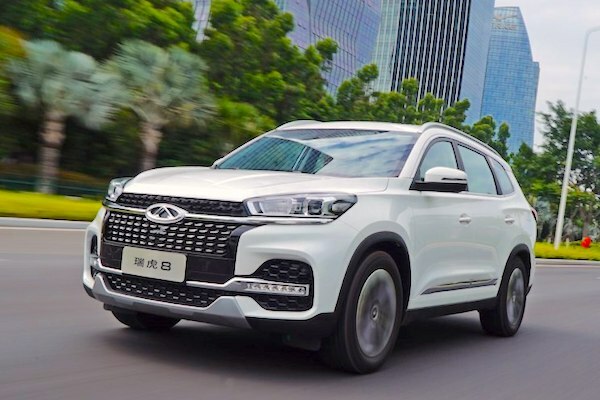 In the good news aisle, let’s single out the BYD Qin (+864%), Qoros 5 SUV (+731%), BYD Tang (+622%), Hyundai ix35 (+483%), Changan CS55 (+257%), JAC Refine S5 (+209%) and MG ZS (+56%), all bar the Qoros and ZS due to new generations. Full July 2018 Top 83 All China-made brands and Top 440 All-models below.